After three years studying photography, I spent two years in my darkroom practising all the skills learned in the various branches of photography, including the alternative printing processes. 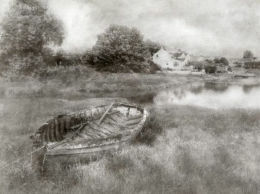 However, I had not studied the Bromoil technique, but came across it for the first time in the publication "Photo Art International". I found the displayed Bromoil images fascinating. A workshop was to be held at the RPS in Bath. I enrolled and watched with great interest Gilbert Hooper, the tutor, demonstrating. 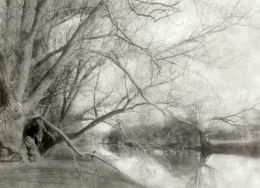 It was the little back room in the Octagon at Bath where I produced my first Bromoil print. From there on I was hooked. There were many waste bins full of attempts to start with. Nothing worthwhile comes easily, but eventually the necessary skills are mastered and with this comes the control of the image you are visualising.